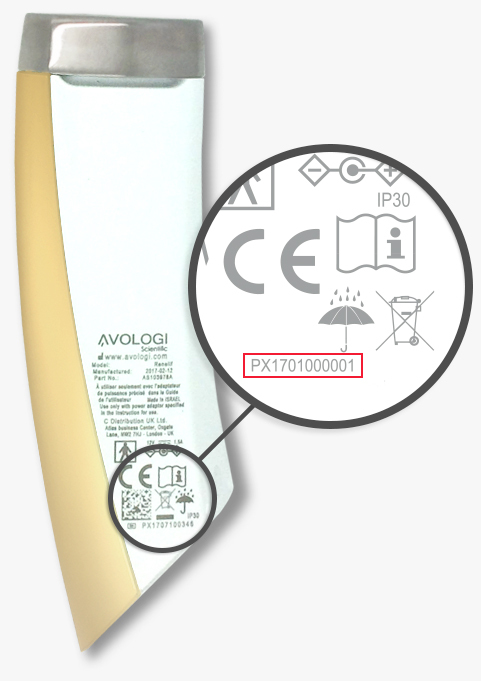 Why register your AVOLOGI product? Activate your warranty by registering your product within 10 days of purchase. Viable for products bought on Avologi.com and authorized retailers only. Registering your AVOLOGI purchase links your product with important notifications, proof of ownership, and warranty service. Registration is quick and easy. Just a few steps and you’re done! We’re confident nothing will go wrong, but if it does, we’ll make it right. Get the most from your products with easy access to email and more. Get special offers, new products or feature updates. Where can you find your serial number?